The Royal Society of Public Health (RSPH) ranks 70 major towns and cities on their high streets’ impact on the public’s health and wellbeing. 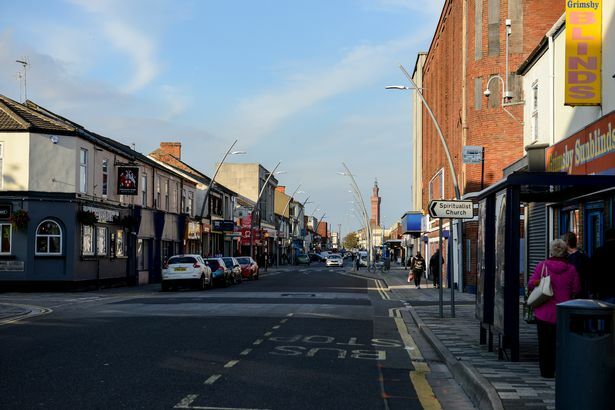 The scoring system, which is rooted on the types of businesses found in the towns or cities’ main retail areas, sees Grimsby as having the unhealthiest high street, while Edinburgh came out as the healthiest. This ranking excludes London high streets, which have been scored seperately. Chief executive of the Royal Society of Public Health, Shirley Cramer said: “While the face of the British high street continues to change, the environmental and economic factors that influence inequalities in health outcomes across the country remain stubbornly intractable. The league table features in a new RSPH report, Health on the High Street: Running on empty, which follows the Chancellor of the Exchequer’s announcement on measures designed to reinvigorate the nation’s high streets. Following on from the original RSPH Health on the High Street published in 2015, this follow up assesses changes in British retail areas over the past three years. It notes changes in British high streets with off-licences and empty shops seen as having negative influence on health, and cafés and vape shops having a positive influence. Ms Cramer added: “While we broadly welcome the package of measures announced by the Chancellor of the Exchequer this week, we are concerned that they do not go far enough. “Local authorities, who are well placed to make changes, are currently operating with one hand tied behind their backs due to ongoing funding cuts, particularly in some of the more deprived areas that feature prominently in these rankings.